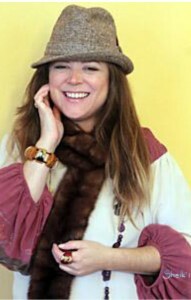 Within the first year of her arrival, she was the featured vocalist with the SUNO orchestra at the New Orleans Jazz Festival 2001, recorded and sang backing and lead vocals with Dave Sharp of the 80’s rock band, The Alarm, and also was a featured performer at The TriCou House on Bourbon Street. Returning to New Orleans, Ramos was in immediate demand and was booked for weekly shows at the Bourbon Orleans Hotel bar room, Snook’s. Simultaneously, the Frenchmen Street clubs Apple Barrel brought her back weekly and later that summer, she did one show at d.b.a. With guitarist Michael Wheat, Ramos wrote a new body of work containing ten originals and is credited as the albums’ producer, calling it Big Pearl Double Faces. Recorded and mixed in New Orleans, the album was mastered in Los Angeles and released through Flying Colors out of L.A, 2010. Continuing to be a staple on Bourbon Street Big Pearl opened a new music venue, MyBar @ 635 Bourbon, playing three nights a week, performing original music off their CD and selling Double Faces to a world-wide audience. The band’s CD is available online at www.bigpearl.com, Amazon.com, CD Baby and iTunes as a downloadable album. In the summer of 2010 Ramos visited Paris Radio and Nova Radio stations in Paris, France and dropped Double Faces to various DJs. After that Ramos traveled and met up with other New Orleans artists in Livorno, Italy and jammed as a featured vocalist at the Jazz Café. Early 2012, Ramos again traveled to Europe, dropping more copies of Double Faces to Paris Radio and Nova Radio stations in Paris, France and moving on to Liverpool, England, performing a gig with a local band at the Victoria Pub and dropping her CD at Liverpool Radio. 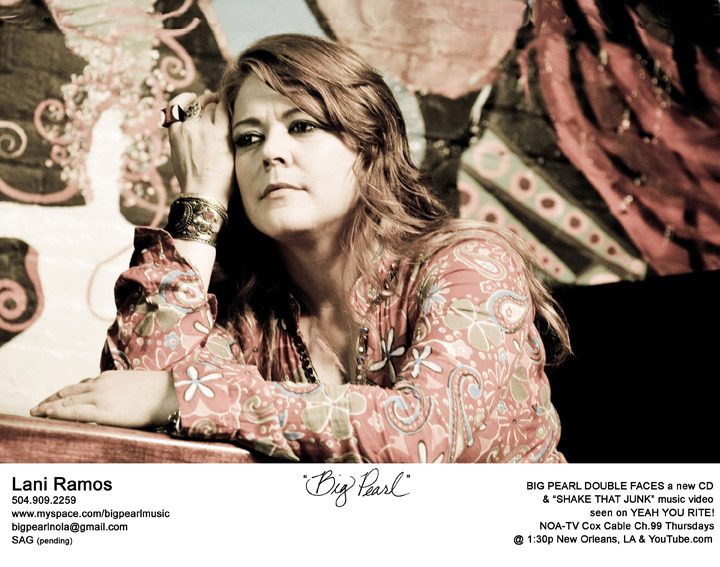 After that albums’ success, Ramos has now issued Big Pearl Double Faces Deluxe Edition which includes six bonus tracks exclusively sold at New Orleans area record stores Louisiana Music Factory, Peaches and at Big Pearl gigs. Currently, Ramos is flexing her television muscles appearing weekly on her own original New Orleans musical comedy and variety TV show, Yeah You Rite! It airs Thursdays locally at 1:30 a.m. and p.m. on Cox Communications Channel 99. 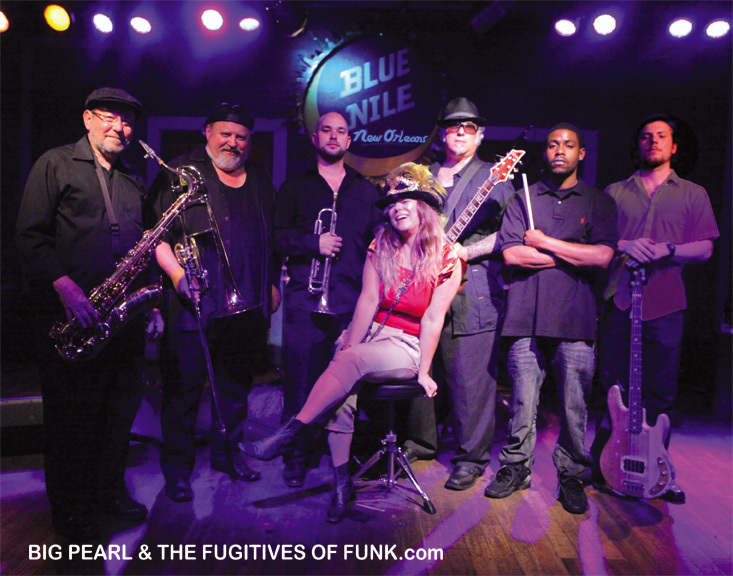 Big Pearl sets can run from 30 minutes to over 120 minutes and range from a showcase of original material and Janis Joplin tribute songs to an all-night Bourbon Street style dance party set. Live sets move seamlessly between original and cover tunes guaranteed to fire up a classic rock audience.